Israel has repeatedly announced that it has the right to attack Gaza until there is nothing left of the Palestinian people inside Israel. The impetus behind this outrageous statement is that Israel supposedly has ‘a Right to Defend herself’ ­ a “right” that Israel does not respect, if anyone else claims it, to defend themselves against Israel. The problem with the statements from Israel, whether implied or bluntly stated is that all “The RIGHTS of any “State” depend entirely upon the states in question—to honor the rights and responsibilities of all other states in that same process: To the exact same degree for every state in every equation. Israel denies that any other nation has any rights whenever it comes into conflict with whatever the Zionist state demands. As Israel does not recognize the right of Palestine or the Palestinian people to exist—or their right to self-defense: Then no other nation on the planet needs to honor anything that Israel continues to demand from the rest of the world: This will cancel Israel’s own “right to exist” along with their supposed right to the “self-defense” they have continued to deny to Palestine and everyone else, for over 66 years. 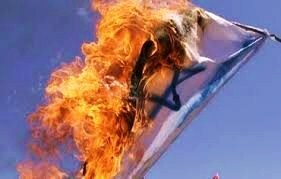 All of Israel’s obscenely one-sided DEMANDS, including ‘total and absolute Surrender to Israel by everyone else on the planet; must be immediately and permanently CANCELED. The Zionists must be confronted, stripped of all rights and property then evicted from every host nation where they have set up their takeover of this dying planet. “Ultimatum ­ One warning from the Prime Minister of Israel to the enemy population, in which he announces that Israel is about to attack military targets in their area and urges those who are not involved and do not wish to be harmed to leave immediately. Sinai is not far from Gaza and they can leave. This will be the limit of Israel’s humanitarian efforts. Hamas may unconditionally surrender and prevent the attack. Attack ­ Attack the entire ‘target bank’ throughout Gaza with the IDF’s maximum force (and not a tiny fraction of it) with all the conventional means at its disposal. All the military and infrastructural targets will be attacked with no consideration for ‘human shields’ or ‘environmental damage’. It is enough that we are hitting exact targets and that we gave them advance warning. Siege ­ Parallel to the above, a total siege on Gaza. Nothing will enter the area. Israel, however, will allow exit from Gaza. (Civilians may go to Sinai, fighters may surrender to IDF forces). Defense ­ Any place from which Israel or Israel’s forces were attacked will be immediately attacked with full force and no consideration for ‘human shields’ or ‘environmental damage’. Conquer ­ After the IDF completes the "softening" of the targets with its fire-power, the IDF will conquer the entire Gaza, using all the means necessary to minimize any harm to our soldiers, with no other considerations. 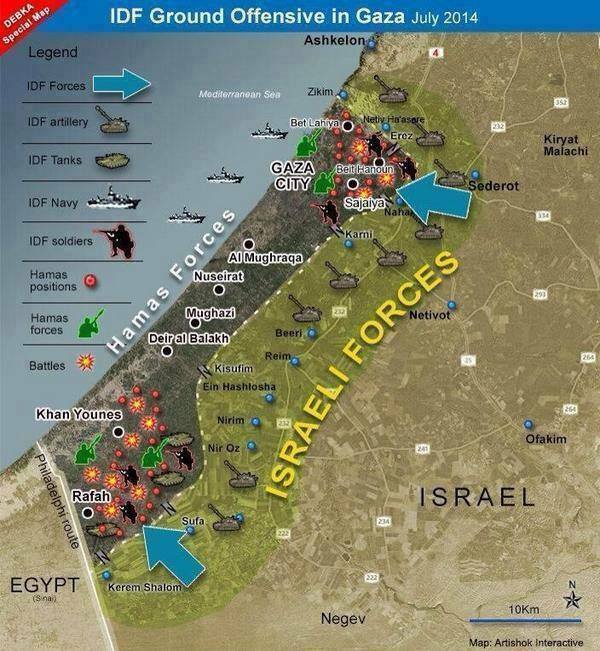 Elimination- The GSS and IDF will thoroughly eliminate all armed enemies from Gaza. The enemy population that is innocent of wrong-doing and separated itself from the armed terrorists will be treated in accordance with international law and will be allowed to leave. Israel will generously aid those who wish to leave. Sovereignty ­ Gaza is part of our Land and we will remain there forever. Liberation of parts of our land forever is the only thing that justifies endangering our soldiers in battle to capture land. Subsequent to the elimination of terror from Gaza, it will become part of sovereign Israel and will be populated by Jews. This will also serve to ease the housing crisis in Israel. The coastal train line will be extended, as soon as possible, to reach the entire length of Gaza. I would go further than the foregoing. Since the United Nations is a simple but effective tool of Israel, which it has been from 1945, to insure the survival of Israel, regardless of the fact that it sits on lands that were stolen from Palestine and no protest of that theft was ever heard in the vaunted halls of the United Nations or anywhere else—ever! So every move that Israel has made, throughout her “history” has been fraudulent since 1948. 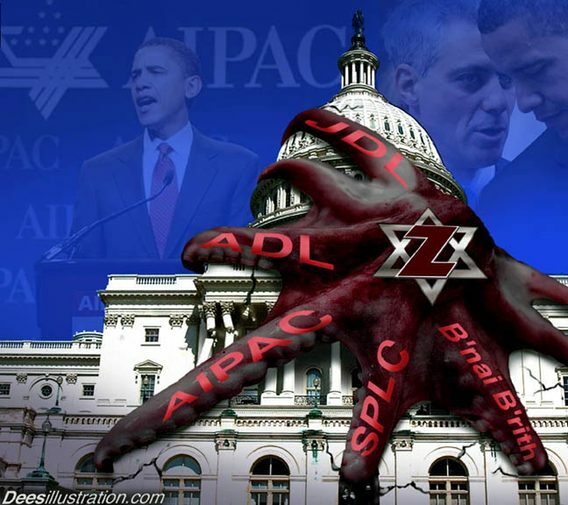 And because United States Inc. is a wholly owned subsidiary of Israel, and has been for over a hundred years, there will not be any relief coming from either the supposed world body of the UN, or from the criminally controlled Israeli State which is what US Inc. stands for in this case. That means it’s up to us to take back our power and end this unchecked reign of terror coming from Israel against the world. Since we no longer have any laws that will aid or protect Americans who are resisting this global takedown ­ it really is up to the people of the country to physically take back what the state has stolen from all of us. A premium should be placed on every association that is funded or created for Israeli purposes. All members of any think-tank, professional association or indeed any group that has as any part of its reason for existence embedded in the growth or survival of Israel—must be similarly confronted and dealt with accordingly. BTW this applies to everyone in government and especially the Federal Reserve, because without their Zionists the FED will implode! CANCELING Israel’s Right to Exist will free the world and amazingly the globe begin to return to being a planet with a future instead of the flaming ruin we’re in the middle of de-constructing into total annihilation! Read the link above and think about it!